Indonesia, adventure looms large in this vast and steamy archipelago, where the best of Southeast Asia's spicy melange simmers tantalisingly. Heady scents, vivid colours, dramatic vistas and diverse cultures spin and multiply to the point of exhaustion, their potent brew leaving your senses reeling. The tropical archipelago of Indonesia is the world’s largest with over 17000 islands covering more than 5000 kilometres. Approximately two thirds of Indonesia’s islands are inhabited with a diverse cultural mix of ethnicities and religions. The islands popular with tourists include Bali, Lombok and the Banda Islands. Indonesia’s capital Jakarta, located on the island of Java, is a sprawling melting pot of heritage, culture, pollution and poverty. The airport which most visitors to Indonesia will fly into is Denpasar, on the island of Bali. Currently there aren't any direct flights from the UK to Indonesia, however Indonesia is served by many airlines including Thai Airways, Singapore Airlines and Etihad Airways. Most visitors to Indonesia head to the island of Bali which although small in size, attracts tens of thousands of visitors every year. Immensely popular with Australasians as well as Brits and Germans, Bali offers stunning beaches, great surfing, tranquil temples and genuinely warm hospitality from the Balinese people. Kuta is the magnet for the package holiday crowds searching for non-stop nightlife, whereas visitors wanting a more authentic experience head for the quieter resorts in Lovina or the rich culture in the mountain town of Ubud. The Nusa Tengarra islands located in east Indonesia heading towards Australia are the most diverse and include the island of Lombok. Popular with lovers of watersports and in particular surfing, Lombok also attracts visitors heading to the tropical Gili Islands, three picturesque coral islands with dazzling white beaches and superb marine life. The Banda Islands also located in eastern Indonesia are known as the Spice Islands are a haven for divers and sailors with unspoilt reefs and tropical lagoons. The densely populated island of Java is home to Indonesia’s capital Jakarta and is worth a visit to explore the old city, Chinatown and its historic museums. 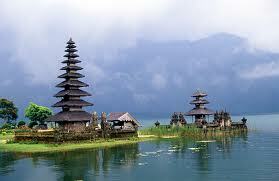 Indonesia is a popular destination for visitors in particular the beautiful island of Bali. Our top tips for finding the cheapest flights to Indonesia are to book as far in advance as possible, look out for airline special offers and also to try and travel out of peak season if at all possible. Check out our flight search box to find the most competitive fares on cheap flights to Indonesia and thousands of destinations all over the world. Working with over 500 airline and travel partners, we can find you the latest prices and availability for low cost flights as well as lastminute flights. 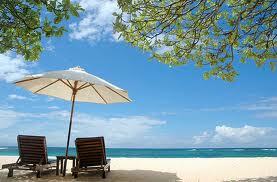 Indonesia has a tropical climate which varies from area to area. The eastern monsoon brings the driest weather (June to September), while the western monsoon brings the main rains (December to March). Rainstorms occur all year. Higher regions are cooler.